Show your love and support for at risk rhinos with this one of a kind wooden switch plate cover. It’s truly scary to think about the rate at which endangered animals are being poached, and it continues to this day. 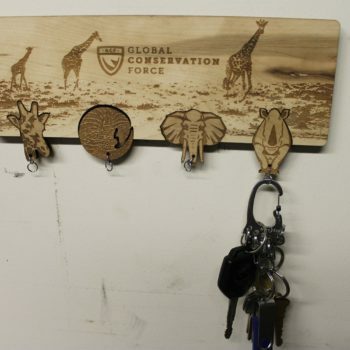 Luckily the Global Conservation Force is an organization educating people as well as funding anti-poaching units to fight against the murdering taking place. 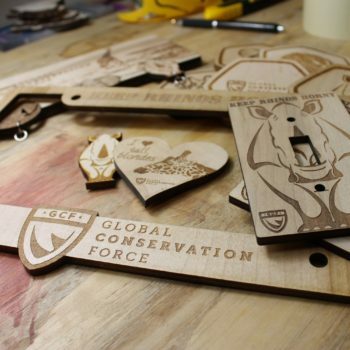 25% of all purchases of a GCF item is donated directly to them. 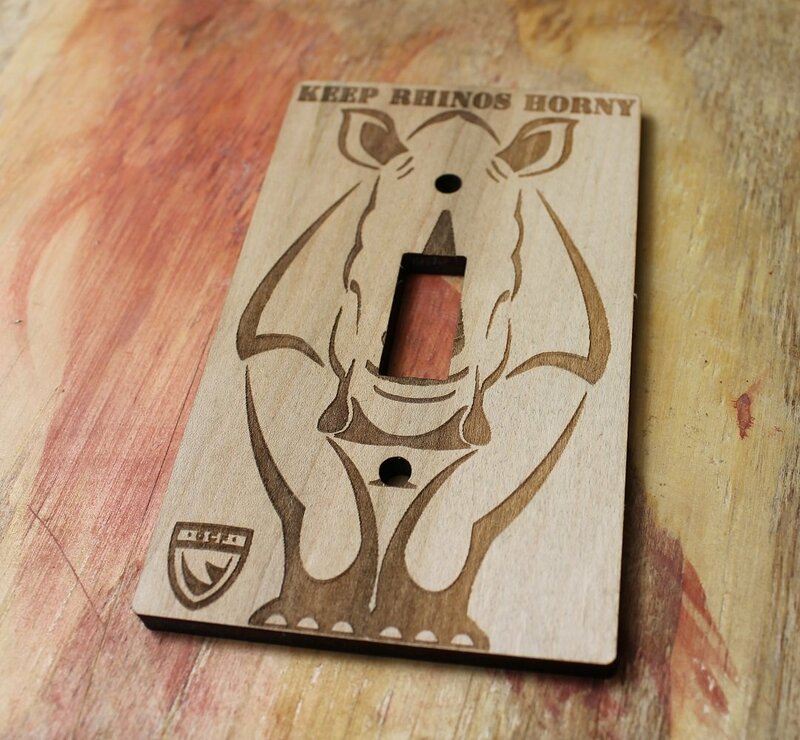 When you purchase one of these cool wooden switch plate covers, you not only get a unique item you can adore, but you’re supporting the global conservation force and their fight against the declining population of these endangered animals. It’s a WIN/WIN! This switch plate cover is made of quality quarter inch thick maple ply. It fits all standard sized single switch plates. Stay tuned for double and triple switch plate covers to be built in the future. 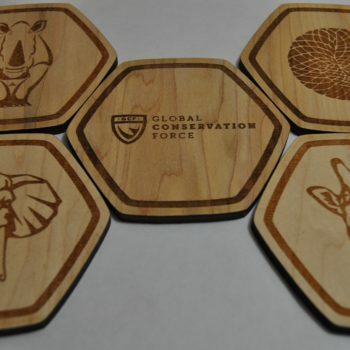 You can also find the endangered animal coaster set, wooden license plate cover, and GCF key holder on this website, where 25% of the proceeds go straight to the GCF. There is also a true animal lovers set, which includes all of these items.